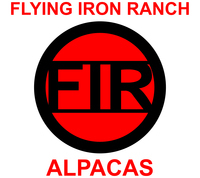 Dundee Farm is pleased to announce the purchase of Snowmass Golden Sentry in partnership with Chimera Ranch. He stood stud here in 2011. From the minute he jumped off of the truck, we knew - this is a good one. When the chance to own 1/2 interest in him with such great partners came up, we couldn't resist. He is the perfect addition to our stud program. Victory's fleece has come in with very nice and her conformation is great. Judge Sharon Loner at AOK Blastoff said "she excels in density, staple, structure and hand". Her conformation was not quite as good as 1st. We are confident she will produce great offspring consistent with her heritage of Accoyo Express, Mile High and Snowmass Matrix. 2017 brings FIR SCARLETT a big beautiful bay black female sired by Snowmass Golden Sentry who is a multichampion as a yearling. FIR Scarlett is our beautiful bay black female. She is very well conformed with a typey head and a robust balanced frame. 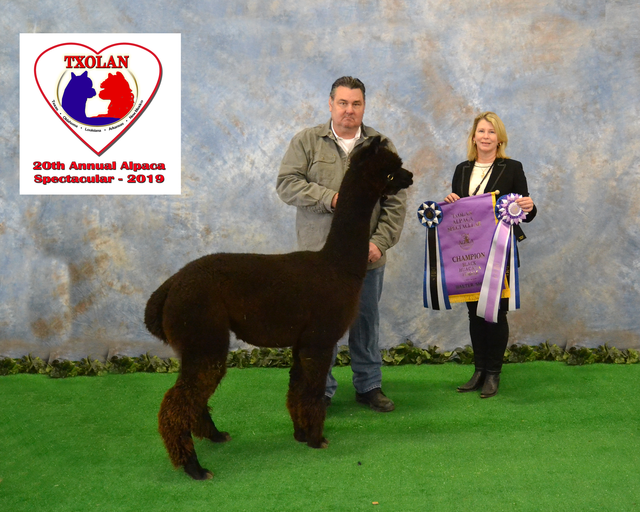 Her fleece is very fine, very uniform and very dense according to Jude Anderson who selected her the black color champion at the 2019 TxOlan Sweetheart Spectacular. Scarlett is out of FIR’s Indy’s Victory Lap. 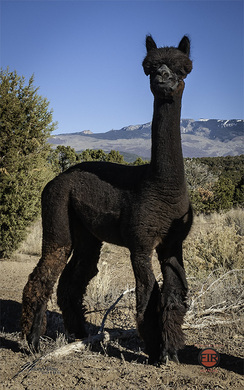 Vicki was one of the first cria for Flying Iron Ranch when we bred our newly purchased Snowmass Matrix Rose daughter Ambrielle’s Amber Rose to Express’s Peruvian Indy. Indy has one of the most elite structured fleeces and whose sire Accoyo Express produced every color on the chart, we knew he was the perfect match for Amber Rose. When we bred Vicki to the Snowmass Golden Sentry we knew those superb Snowmass genetics on both sides would come through. Scarlett did not disappoint. She was Color Champion in Halter and Walking Fleece at TxOlan among some very formidable competition. 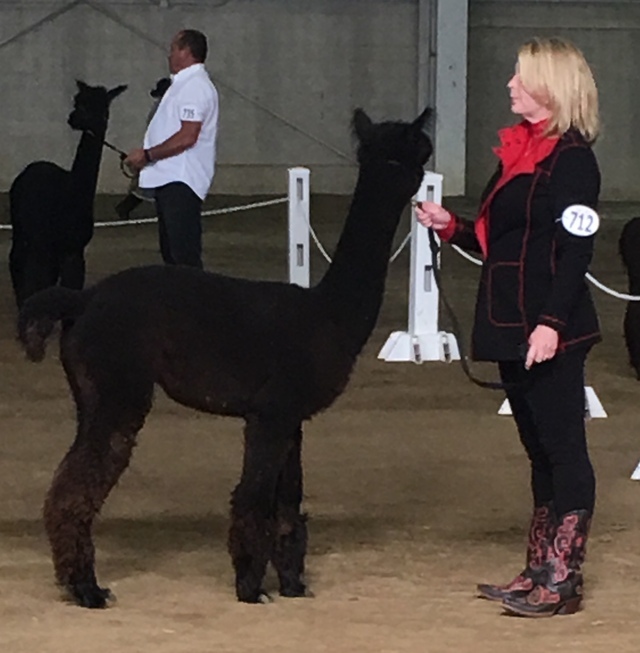 FIR Scarlett is scheduled to breed spring 2019 to AutumnSun’s Black Maelstrom, Mael was awarded an impressive 13 banners from 9 different judges in both halter and fleece shows. His third fleece in the “C” mature class score 80.5 points and a blue ribbon at the 2017 AOA Fleece Conference. FIR Scarlett is offered for sale and will continue to show at the spring 2019 shows.